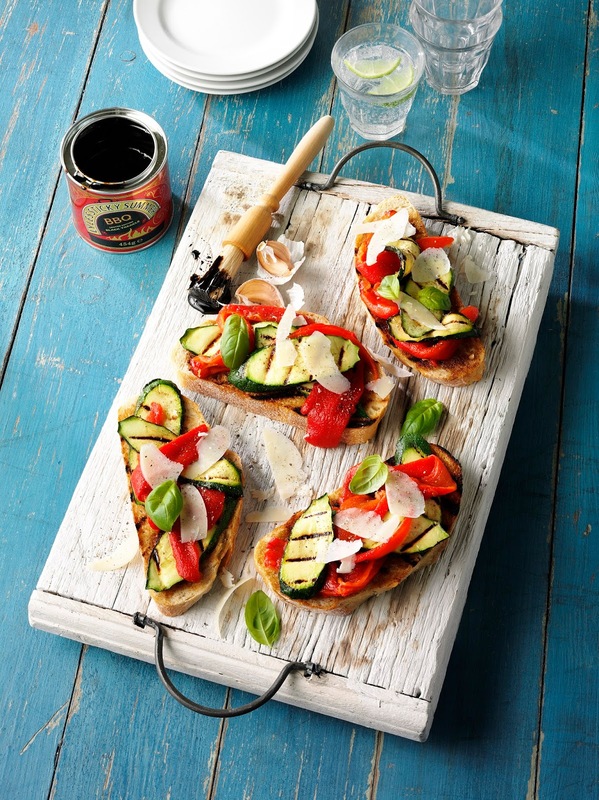 Char-Cooked Courgette And Pepper Bruschetta..
Char-Cooked Courgette And Pepper Bruschetta. Perfect for a light lunch or a supper starter. Preheat a char-grill pan or the grill. Mix together the Lyle’s Black Treacle, olive oil, lemon juice and garlic. Lightly brush the slices of bread with this mixture, then char-grill or grill the bread on both sides. Brush the courgette slices with the glaze and char-grill or grill them until tender (about 1 minute per side). Arrange them on the slices of bread with torn-up strips of roasted pepper. Finish off with shaves of Parmesan cheese, a little black pepper and some basil leaves or parsley sprigs. Drizzle with the remaining glaze, then serve. Char-grill or grill 4 small bunches of cherry tomatoes on the vine and serve them on top of the bruschetta, if you like. 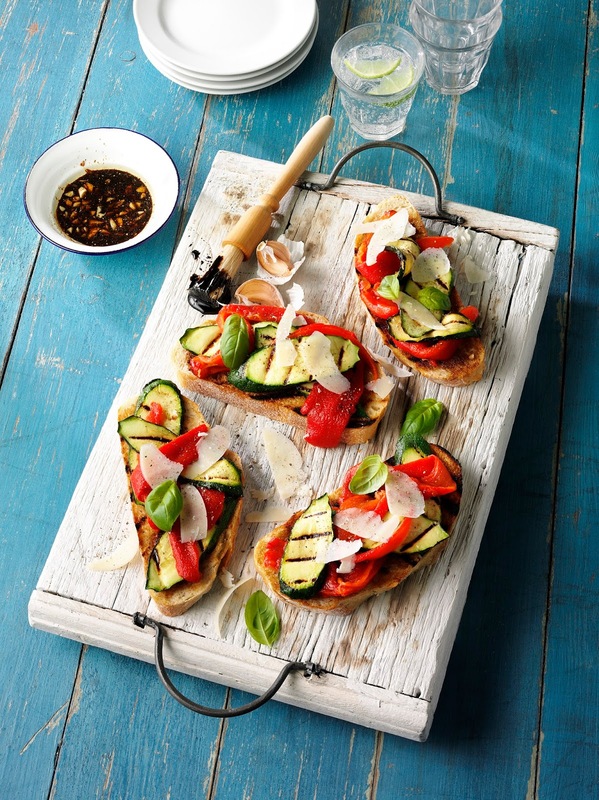 What do you think of this Char-Cooked Courgette And Pepper Bruschetta recipe? Peachy Goat’s Cheese Bruschetta anyone? When you fancy something quick and tasty – and just a little bit different – this is a great choice! These make sweet nibbles too if you’re having some family and friends around too. I would love to be served up these if I was visiting someone. Quorn Meat Free Chicken Pieces Laksa..
Looks so tasty. Must try this recipe, thanks.